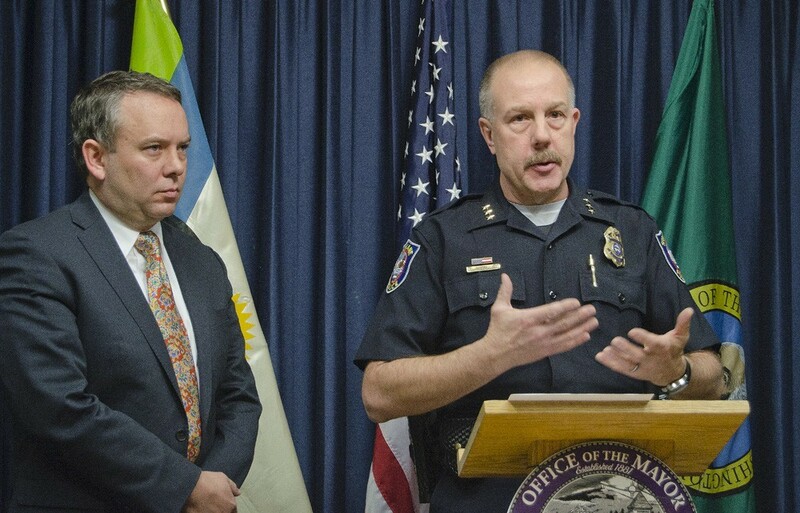 Former police chief Frank Straub is finished with his homework, the Spokesman-Review writes. For writing less than a local journalist writes in a week over three months, Straub was paid more than a local journalist makes in a year. He did, however, use the space to level accusations at the police department, explaining that the "old guard" was hurting reform efforts. “I tried to break the ‘stranglehold’ these officers had on the department, in the end, it contributed to my termination, as it ended the tenure of previous chiefs," Straub wrote. More than 500 Centurylink customers still haven't had their internet service restored after the storm a month ago. KREM has your list of school closings. What Duane Hagadone's proposed new 12-story CDA Resort tower will look like, as revealed by the Coeur d'Alene Press. What last night's 9-way Republican royal rumble was like. Drugs just aren't that cool anymore. Despite marijuana legalization in states like Washington and Colorado, drug use among teens continues to dropping. Slate looks at a curious case of a bookstore chain that is still selling actual books. That new Star Wars movie has a 79 percent fresh rating on Rotten Tomatoes! Oops, that's the Rotten Tomatoes rating for Revenge of the Sith, a movie many consider to be critically derided today. The Force Awakens, on the other hand, has a 97 percent fresh rating (for now).